It was one of the most talked about moments coming out of the GRAMMYs. Adele's performance was sonically marred by a musical mishap. As it turned out, microphones inside her accompanist's grand piano had fallen and were vibrating on the strings. Of course, that wouldn't have happened with a digital grand. No strings. No microphones. Just audio outputs going directly into the sound system. But digital pianos are still considered inferior compared to the real thing, right? Performing musicians require the best of both worlds: They need to amplify their instruments but also to maintain an authentic sound. 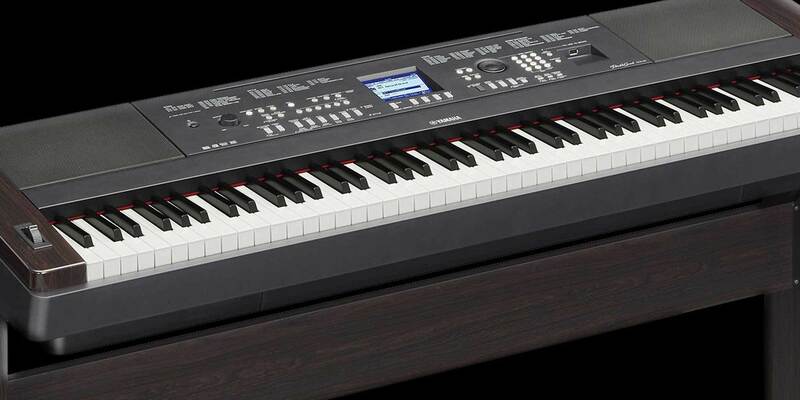 When digital pianos were first introduced in the late 1980s, they offered solutions to all of the things that could potentially go wrong when bringing an acoustic to a gig or on tour: With a digital, you don't have to tune before a show, you don't have to mic it, or run the risk of having mics fall on the strings, for that matter. You also don't have to worry about a pedal squeaking or a damper or hammer or any of the 10,000 parts breaking during a show. But, until recently, digital pianos sounded ... well, electronic. "There hasn't been much of a level playing field between digital and acoustic," says John Cordogan. Cordogan is a musician and the vice president of Cordogan's Pianoland, a 66-year-old family owned business that has long been regarded as Illinois' largest piano store. "Traditional pianos are designed with a large soundboard that measures several feet in diameter, whereas the sound of most digital pianos comes from a couple of paper cones we call speakers that are usually six inches or so in diameter. Plus, with digital, the keys didn't have the bounce, feel and weight of a real piano key. But, now, the line between digital and acoustic pianos has blurred." According to Cordogan, the most significant improvement in the evolution of digital pianos has to do with their ability to mimic the three-dimensional sound that emanates from an acoustic piano. In fact, digital pianos have gotten so good in their ability to imitate acoustics, big acts are bringing them on their national and world tours. 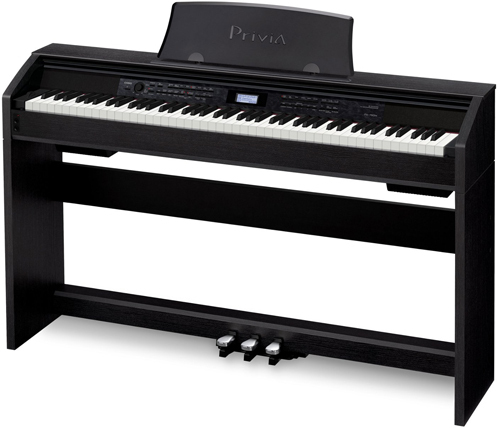 For example, Coldplay is using a Kawai hybrid piano for their upcoming tour. Meanwhile, Lionel Richie recently rented a digital grand piano from Cordogan's Pianoland when he performed in Chicago. Lionel's manager ended up having a shell made to look like a grand piano so Lionel could slide the digital into the shell." "Lionel's manager ended up having a shell made to look like a grand piano so Lionel could slide the digital into the shell,” Cordogan says. “Other artists have done that too." So, how did manufacturers figure out how to improve the sound? The main reason digital pianos have gotten better is that they've merged with traditional pianos. Hence, the hybrid approach. Although the industry has yet to align on marketing language around the new line of pianos, Cordogan finds it easiest to categorize his inventory into four different types of hybrid pianos. To better understand how this happens, he offers a tour of his vast showroom that's rich with the smell of wood and glistening from the reflective shine of polished veneer shells and thousands of spring steel piano strings. Coldplay's Chris Martin played a Kawai K300-ATX2 Hybrid Piano for the band's Super Bowl Half-Time Performance. "I'm defining it because nobody else has," Cordogan shrugs. On one end of the spectrum, you have digital pianos with acoustic wood-key actions, followed by digital pianos with real acoustic soundboards. Then, as you start to move along the continuum away from digital, you have acoustic pianos with headphone and recording capabilities and, finally, fully acoustic pianos with transducers, he explains. Cordogan stops at an upright to demonstrate the last sub-category. He taps on its top board, "At its very best, all it will ever be is a 48-inch upright." He plays a few bars. "That's all the sound that a 48-inch acoustic upright can produce. But with digital components, I can blur digital and acoustic with a transducer to give it a better sound." The combination of this real "wood and glue" piano with magnetic transducers against an upright's acoustic soundboard amplifies the piano's voice. And, like most partial or pure digital pianos, it has options most musicians need, like the ability to add other electronic instruments, such as strings, for accompaniment, recording options, a volume control and a silencer. Cordogan understands how the lifestyle of many musicians dictates which model they choose. "A lot of musicians are living in small apartments that can't fit a grand sized piano,” he says. “Or, they have neighbors so they can't play loud at nighttime. Some musicians are teachers that work in schools or they play in churches where the temperature is turned down at night, which affects the humidity and the piano's wood." In other words, there's a genuine need for digital pianos but the closer you can get to that coveted acoustic sound, the better. Because, let's face it, most musicians grew up practicing on an acoustic piano. However, for those musicians that aren't restricted by space or a need for privacy, there's a line of digital pianos that can magnificently imitate the voice of the mother of all pianos: the nine-foot concert grand. 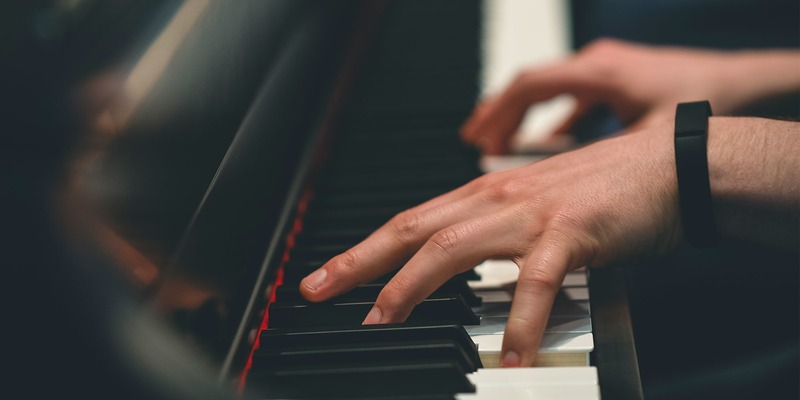 Learning piano is one of the most rewarding musical endeavors you can embark on, and with the advent of digital pianos it’s never been easier to learn. Here's an overview of what to look for. Cordogan demonstrates the claim using two adjacent pianos. One is a six-foot acoustic grand piano. The other is a six-foot digital grand that was programmed using a sample from a nine-foot concert grand. After playing bass chords on both pianos, even a modest musician could hear the difference between the two. And, indeed, the acoustic has a warmer and fuller sound. But, when playing the higher keys, the difference is virtually indecipherable. If you put on noise-cancelling, studio headphones, holy cow! That's the sound you would hear through the PA system and it’s way better than the sound of an acoustic through the PA."
"The electronic components of the sound are masked in the higher register. I could be fooled, especially if I was in another room,” Cordogan says. “The digital would sound acoustic to me." Most astonishing, though, is that the sound of the digital grand is flawless when heard through mid-tier quality headphones. Cordogan clarifies, "You're not dealing with speaker cones. If you put on noise-cancelling, studio headphones, holy cow! That's the sound you would hear through the PA system and it’s way better than the sound of an acoustic through the PA." Which brings us back to the GRAMMYs and other large venue events. When asked if the average listener could distinguish between an acoustic piano and the new hybrid pianos with digital components, Cordogan nods. "If you stood in a room blindfolded, and I played for you an acoustic piano, and then I played for you a digital piano you would hear the difference 100% of the time," Cordogan said. "However, if you were at a live performance like the GRAMMYs and an acoustic piano is mic'd for a large audience using a PA system, and then a digital piano is mic'd using the same cables and PA system, 99% of the time you wouldn't be able to hear the difference. In fact, the six-foot digital is actually going to sound better mic'd than the six-foot acoustic mic'd."